When traveling outside your country., it is even more so. You wander down one street, then another, and 30 minutes later, your wandering leads you to wonder where you’ve ended up. So, you grab your phone and stare at the settings to determine if it’s a data worthy moment. Luckily there are smart solutions by Travel Wifi! How does travel wifi works? 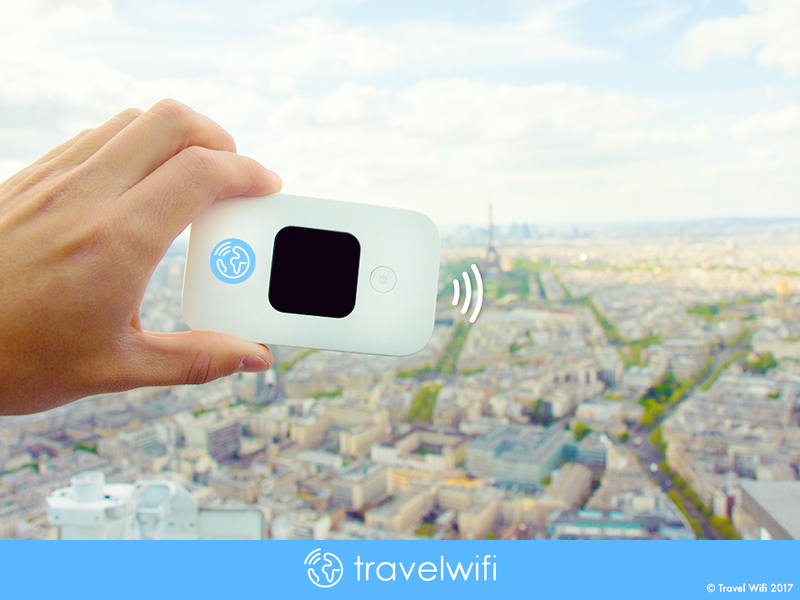 You turn the unit on, connect your device to the Travel Wifi with a password, drop it in your purse or backpack and Voilà!– you’re ready for that selfie with the Eiffel Tower and to share it with your friends thanks to your 4G connection! Unlimited. Illimité. That has to be one the best words in any language. No more checking usage. No overage charges. No surprises. Just navigate freely and enjoy your connection! … or you may share the connection with your loved ones. A great feature for friends and family traveling together! You can reserve your Travel Wifi from their websiteor book directly on site from tourism information desks in Paris airports or from their office. However, we would advise you to book in advance to avoid any possible stock outs! Likewise, you can pick up your Travel Wifi from the tourism information desks in Paris or from their office. 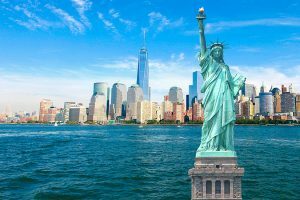 If you prefer to have it delivered to your house or hotel/apartment Travel Wifi ships all over Europe, USA and Canada. At the end of the rental you will return the device by dropping in any mailbox with the prepaid envelope provided. The whole process is hustle free and our travelers love it! Book your Travel Wifi now! If you prefer the old fashion way to stay connected, Travel Wifi also has its own European travel sim cards, SIMY. You will get 20GB in 4G around Europe with unlimited calls/text/mms from Europe to Europe, USA and Canada. SIMY is valid for 7-days and you may extend your usage simply with €3.5/day. Just like the Travel Wifi portable modems, SIMY is also available at Paris airports and Travel Wifi Office. Travel Wifi ships SIMY all over in Europe, USA, Canada and Taiwan! The travelers are not required to return their travel sim cards, so you can just toss away. 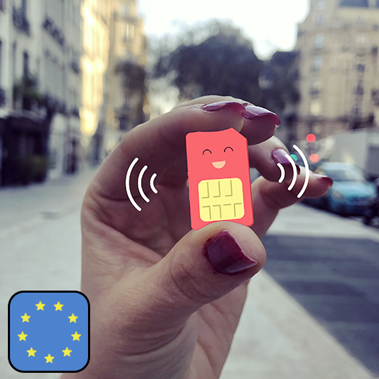 Check out Travel Wifi hotspots and European sim cards for more information and reserve your connection today!